A burlesque circus show for families. Dimitri passed away on July 19, 2016, shortly after one of the family show performances in his theatre. His greatest dream was to put on stage a dynasty, three generations. 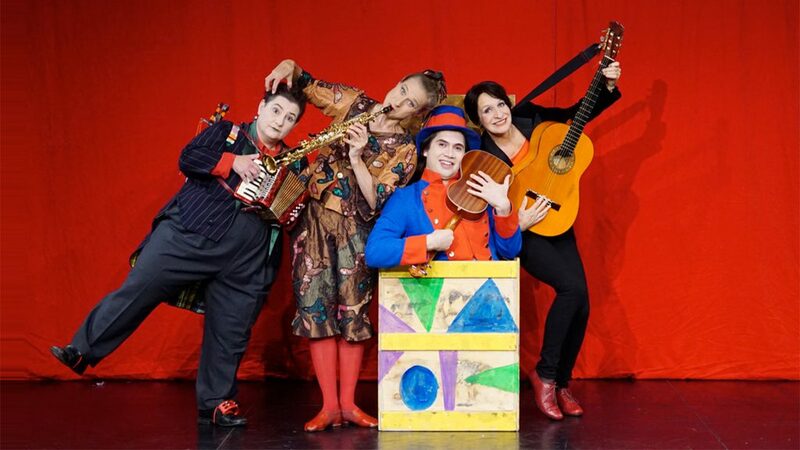 Embracing his priceless legacy, Masha, Nina, Silvana and Samuel have elaborated a new version of this explosive, comical and poetic show, celebrating theater, circus, dance, music and acrobatics – a whirlwind of laughter and clownesque misunderstandings.